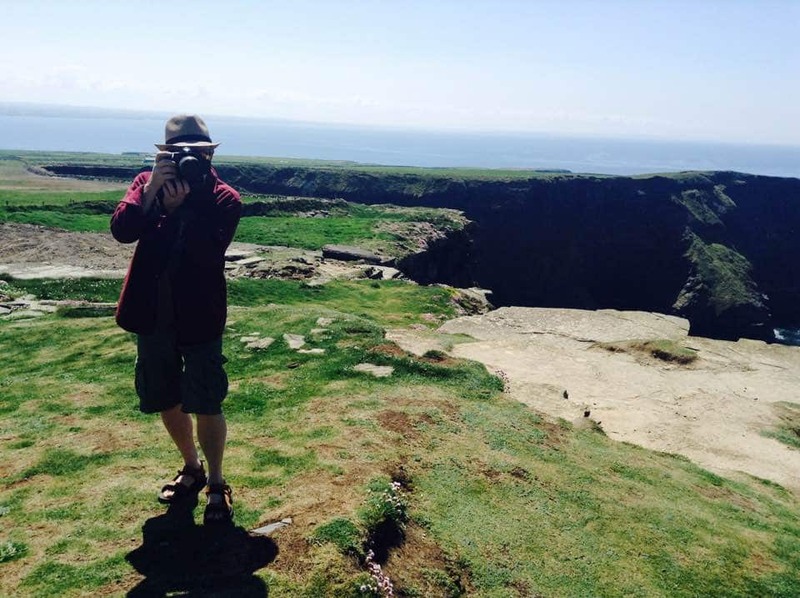 Article written by Edmond McCarthy – a photographer and lover of nature living in County Clare. Edmond strives to find a healthy balance between solitude and connection and helps others to do the same. Ah Spring! I see the balance and resilience of nature this morning, in the way everything is blooming outside my window. I can see the intelligent innate nature of order that comes from a power far greater than man, a divine plan perhaps. And though each and every plant stands alone, it is also perfectly connected to every other element of nature in synchronicity – thriving. I too am part of nature and I too want to feel this. For many years, solitude was my friend and my shield from the rest of society. Feeling as though I did not belong – in my body, with my family, in my school or in the world in general. I was not connected and didn’t know how to connect, so I dived into a netherworld of distractions, obsessions and craving compulsions. A life of ‘escape’ in addiction and solitude. The authenticity of connection was but a shimmering veil floating in a distant foggy night sky. I was lost, but then, when at my worst point, I reached out an almost hopeless hand for help. It was only by connecting, the heartfelt words of others and my listening with an open heart that I began the healing journey I am grateful for today. As the fog cleared and I started to realize that ‘no man is an island’, my journey began in earnest. I knew I must stay connected to others in a healthy healing way. I do this by speaking of my experience with an honesty that can only come from the heart and listening in the same way to learn from others. A slow process with many mistakes along the way. I know now that I must maintain a balance between solitude and connection that is natural for me. Where I know happiness and peace most of the time. It will be a lifetimes work. Only last December I started to feel down again. I was alone and as time passed, I felt less like contacting anyone, and I knew I would not be good company. Shortly after, I got the flu and spent 5 days in bed. I didn’t light the fire or cook properly and felt even more desolate. The tide only turned when I phoned a friend and casually let her know how I was. She asked if she could arrange a little games party at my place for some parents and kids which I agreed to. Within a few days the house was alive with big people and little people, laughing and having fun, myself included. We arranged a couple more game nights as the winter took hold and in no time I was well in my mind and in my heart again and very grateful. In retrospect, I know now that I allowed myself to slip into that headspace without taking action to connect with others to make my way out of it promptly; that I must be more vigilant in future. My life and my well-being depend on that fine balance between solitude and connection. I know it can change with the seasons, but I prize my mental and emotional well-being above all as it is where my peace and joy emanate from. So, wish me well and I wish you all a happy spring. This entry was posted in #LiMental, Connect, mental health, self help, Self-care and tagged Connect, depression, self-care by Justine McCarthy. Bookmark the permalink.